Welcome back Maharanis! 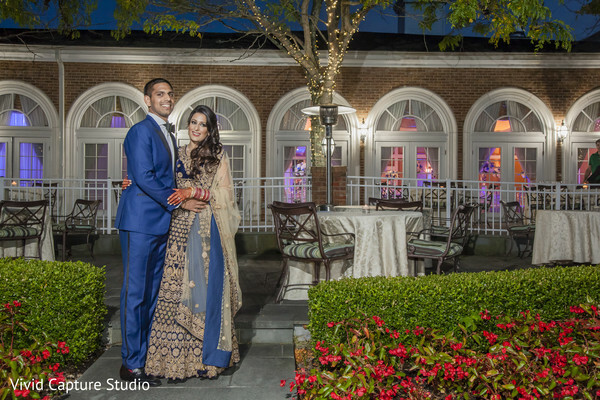 Ritu and Timothy followed their beautiful sangeet at Chateau Briand and Sikh wedding ceremony at Glen Cove Gurudwara. 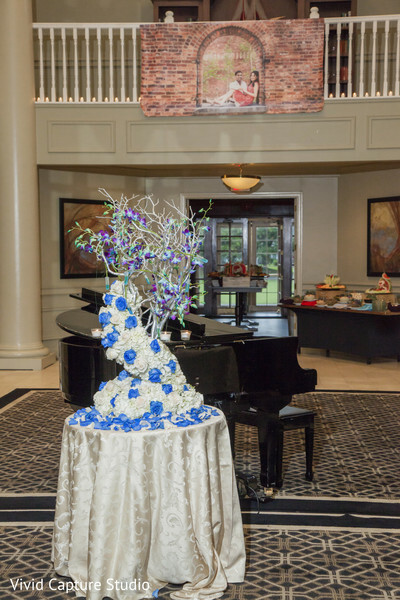 The festivities ended with this last feature - a ritzy reception soiree at The Hamlet Golf and Country Club. 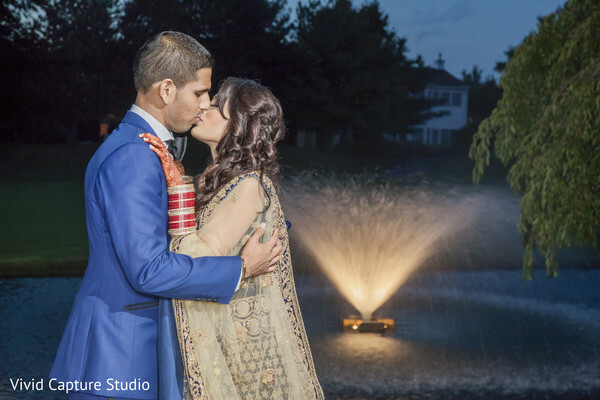 The surroundings at their reception were magical, with guests greeted by a sparkling fountain outside the venue. 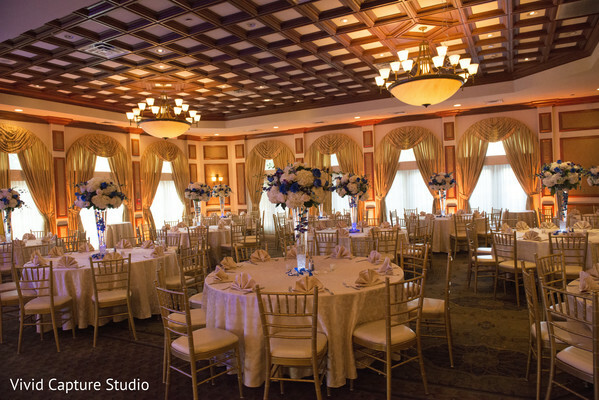 Inside the hall, a dazzling abundance of lush florals and moody up lighting were set up by the planning and design team at R And S Events and the floral and decor geniuses at Stylish Events that resulted in the perfect romantic ambiance. 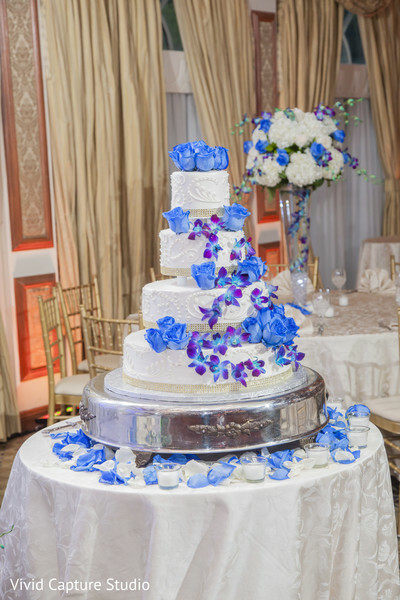 At the center of the room stood a mouthwatering, four tiered cake studded with lovely blue roses by Francesco's Bakery. We also have to mention how obsessed we are with the newlyweds’ reception looks. 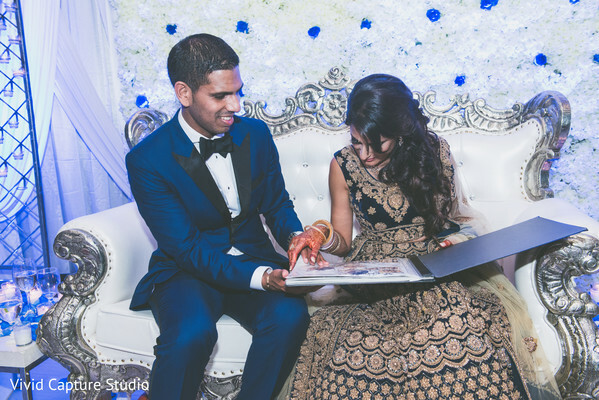 Timothy was dressed in a snazzy blue tuxedo, while Ritu was adorned in a rich navy lehenga and goddess worthy hair and makeup by Kanwal Batool. 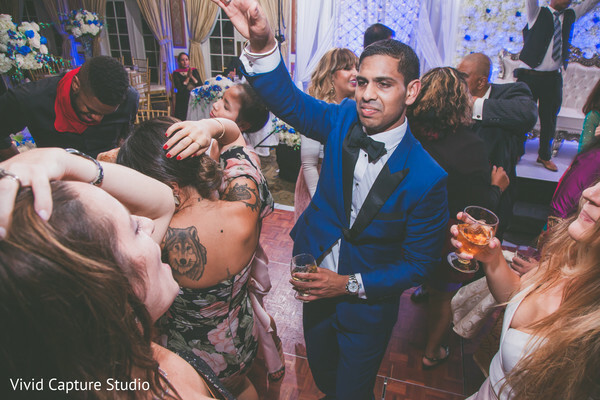 When the couple burst into the ballroom, they kicked the celebrations into high gear. 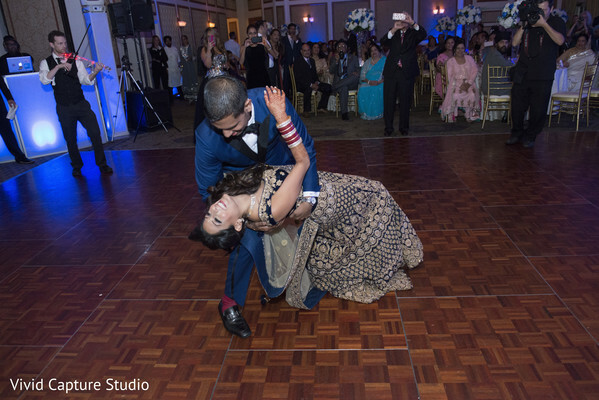 The crowd went absolutely wild as Timothy whisked Ritu into a deep dip on the dance floor! 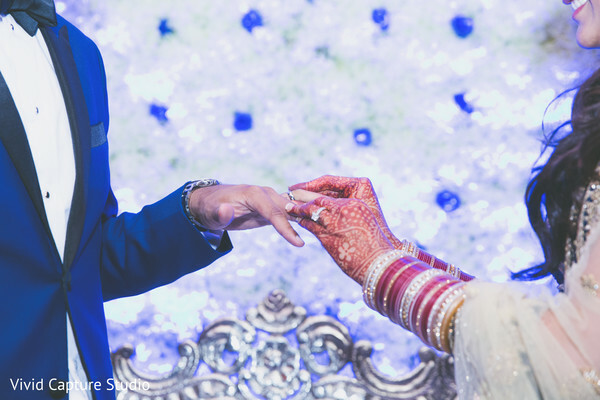 Maharanis, we guarantee you'll want to witness all of Ritu and Timothy’s wedding sweetness in the full gallery by Vivid Capture Studio. Have a great night Maharanis. We’ll see you first thing tomorrow morning with more fabulousness! 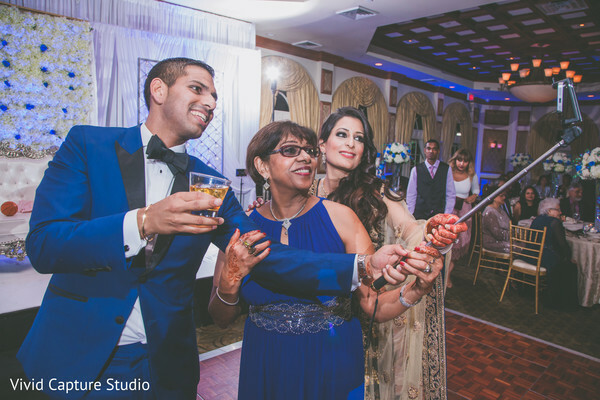 Kanwal Batool, Stylish Events, Vivid Capture Studio, R and S Events and Chateau Briand are members of the Platinum Guide. Love what you see? Explore their portfolios.